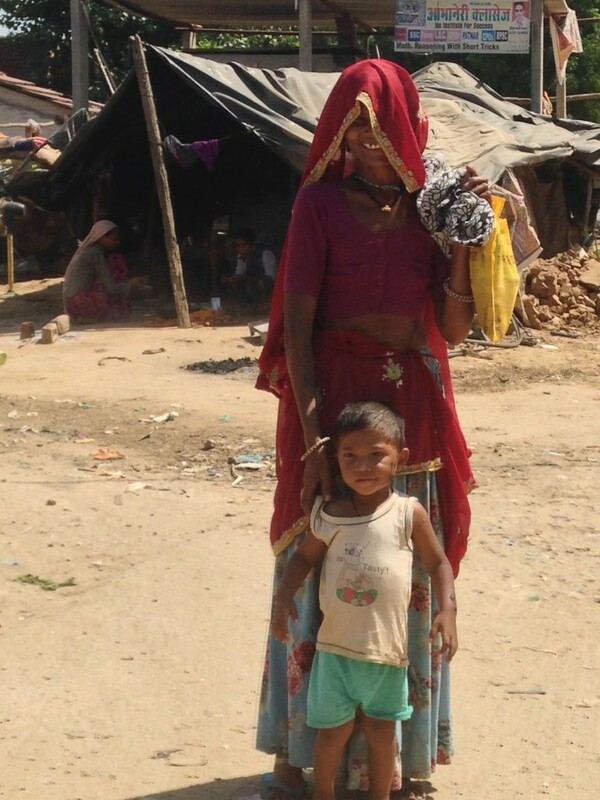 Poverty everywhere, but the saris of India are unfailingly beautiful. 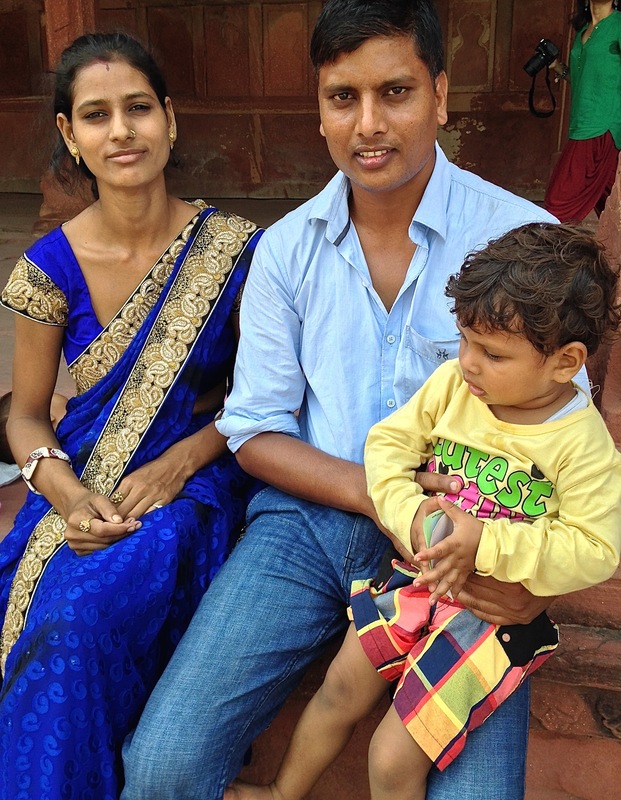 Interestingly, the men and children of India tend to wear western clothing, while many women wear the traditional sari. I wonder why that is. Saris are invariably constructed from brilliant hued fabrics and, in a way, they form a beautiful counterpoint to the garish logos of modern products pasted on storefronts and vehicles. I wonder what the difference might be in culture or status which allows the woman [L] to smile for a stranger (me), while the woman [R] covers her face. Would it be shyness, or is some other cultural imperative in place? I’m curious, too, as to how occidental countries developed the idea that the face was a thing you view, but (until recent fads emerged) the belly was to be covered. Obviously the opposite is true for the lady in the pink sari. [L] Greeting guests at a restaurant in a sari. 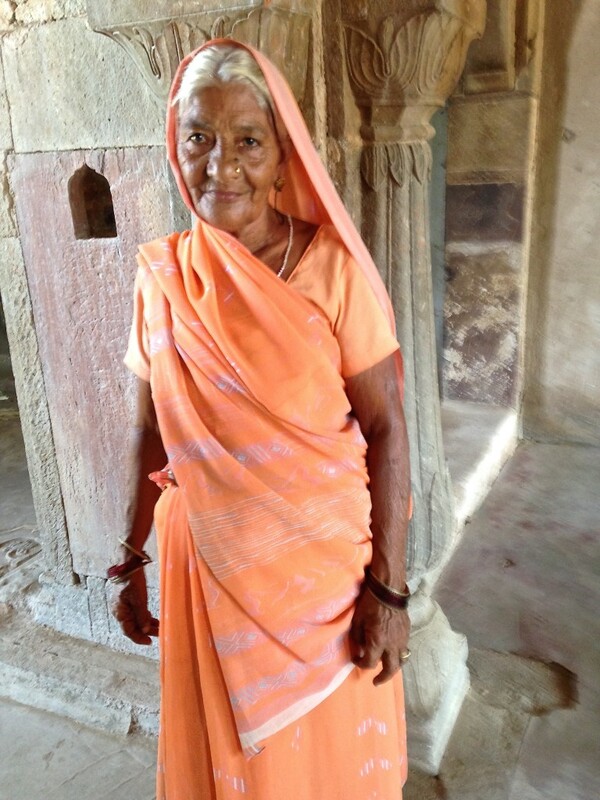 [R] Growing old gracefully in an apricot sari. [R] An affluent young family. 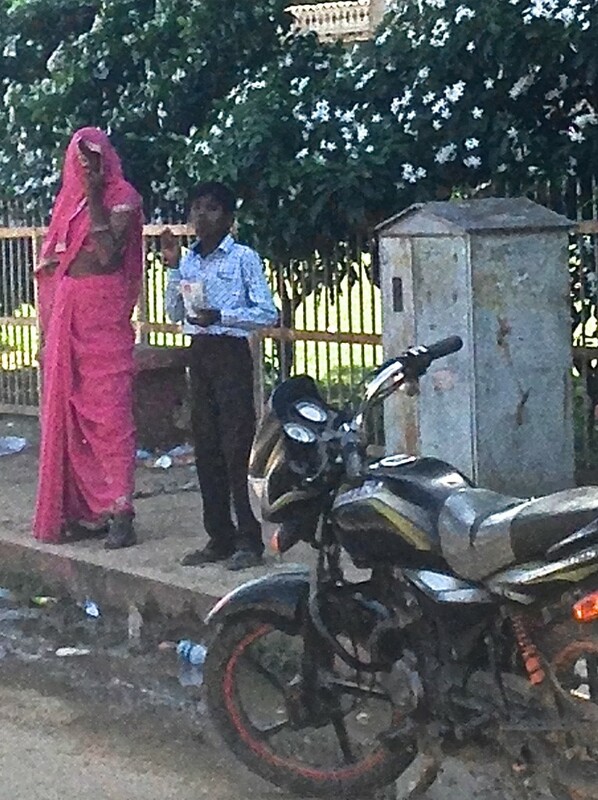 Why do the men and children tend to wear western styles and women wear the sari? Some of the women who wore gold jewelry appeared to be quite poor. I understand that it’s a bridal custom to receive gold jewelry and to wear it as a daily pleasure throughout one’s life. The practice makes me want to re-think western culture’s need for the jewelry box. It would be lovely to see gold on graceful arms every day and everywhere. We should borrow the fashion: If you’ve got it, wear it. Maybe the corollary to that should be, if you can’t wear it, don’t get it. I wish status weren’t part of apparel choices. Wouldn’t it be wonderful if the whole point of clothing for men and women alike was to incorporate beauty into daily life?